In recent years, roof parks have become more popular. Space within cities is limited and buildings often replace expensive, green parts. At the same time, office owners and property managers are looking for ways to provide a better and greener work environment for their employees. By creating a roof park, you create extra space and the possibility to relax, have meetings and have lunch while getting some fresh air. Hotels and restaurants are also increasingly making use of the unique possibilities roofs have to offer, like growing their own vegetables and herbs. Our team of designers, architects and landscapers can transform your roof into an ideal and accessible outside space from A to Z. Green has a strong and soothing influence on the mood of your tenants, employees or guests. The addition of a green outside space to your building will increase sustainability and create multifunctional spaces. This way the roof park can even be an attraction for guests, relations and potential clients. Furthermore the roof park can offer an attractive spot for butterflies and bees, storage for rainwater and cooling down your building. What is a roof park? 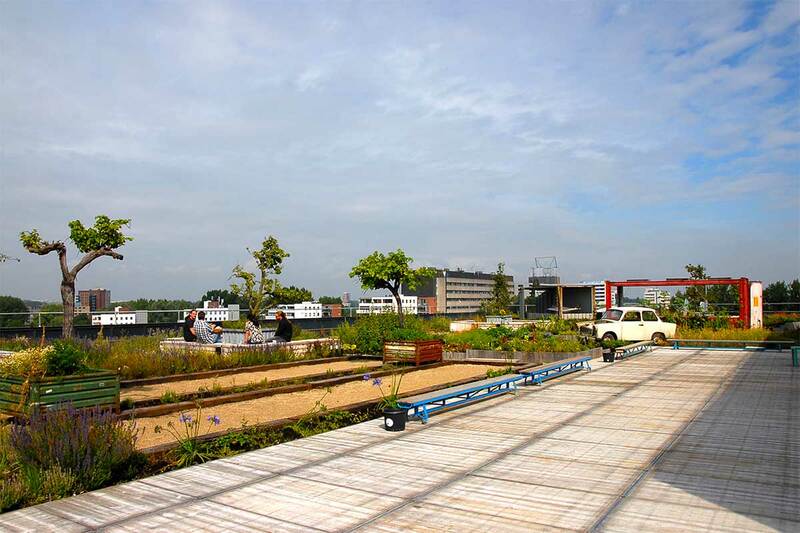 A roof park is a semi-public roof garden where intense green is combined with high-end outside spaces. It can be a space for employees, renters or relationships, a place to relax for hotel guests or a public space for the neighborhood. Also it offers great possibilities for a vegetable garden, intensive green with water features, city beach on the roof or sports facilities. Yoga at sunset, management meetings in the sun on the grass, and so on. The sky is the limit! 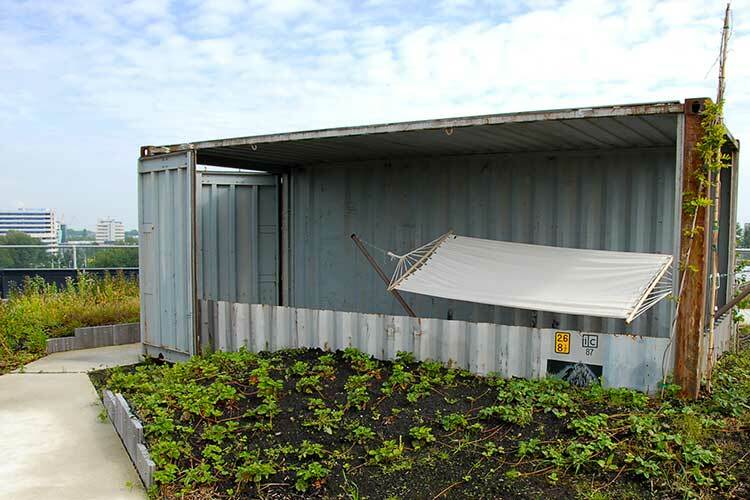 Your roof needs to meet certain requirements in order to build a roof park. We are happy to discuss your options.